Many countries either have a negative growth rate, or a very low population growth rate. 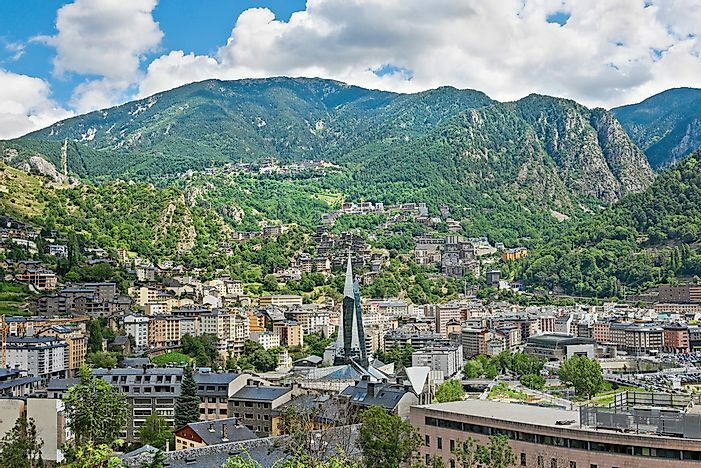 Andorra is the eleventh-smallest country in the world by population and is experiencing a negative population growth rate. There are several countries around the world that have experienced shrinking populations. The list below includes 19 countries that experienced a negative population growth rate. Many of the countries on the list are located in Europe, with exceptions like Syria and Japan. Data from verifiable sources like the UN, World Bank, and the CIA Factbook indicate that, between 2005 and 2015, countries like Andorra, Syria, Lithuania, Georgia, and Latvia had negative population growth due to different factors. All the three data sources defined population as the number of all residences regardless of their citizenship or legal status without including refugees. During the period, little-known Andorra registered a population growth rate of -3.61%. With a population of approximately 77,281 (2016) people, the country is the eleventh-smallest by population and sixteenth-smallest by land in the world. Although Andorra had the highest life expectancy in the world in 2013 (81 years) and is very rich, the negative population growth is a byproduct of several factors. For starters, two-thirds of the population are not citizens and therefore, the government has become selective in admitting more people into the country. Secondly, Andorra has a low birthrate, 7.8 babies in every 1,000 residents, making it number 223 globally in terms of child-births. UN data puts Syrian population growth at -2.27%. This trend is not usual because Syria has always been a fertile country with a positive population growth in addition to accepting a large number of refugees from different Arab and Muslim countries. However, things changed in 2011 after the country plunged into civil war leading to close to half of the population being displaced with over 4 million Syrians being refugees in other countries. The civil war also had its effect on the country’s fertility, life expectancy, and immigration. Prior to the war, Syria had about 500,000 births a year compared to less than 200,000 in 2015. Other factors leading to the negative figure include a highly regulated economy that tightens trade, international trade barriers, poverty, unemployment, declining oil reserves, and budget deficits that discourage immigration. As of 2017, Lithuania had approximately 2.8 million people and a -1.63% population growth by 2015. Lithuania’s main population challenge is emigration, to an extent that the country has a large political party elected on the ideology of solely tackling emigration. Hundreds of thousands of young productive Lithuanians leave the country leading to a “brain drain” that poses challenges to planners, politicians, and policymakers. Since early 1990, Lithuania has lost approximately one-quarter of its population and the rate increased after the country joined the EU leading to some region losing up to 50% of their populations to countries like Britain, consequently, in the EU, Lithuania has the fastest decline in population. Those leaving cite a sluggish economy, lack of political growth in the economy, low wages, and unfriendly social policies like home ownership. Current research shows that older people and those with low socioeconomic status dominate the population because of the selective migration leading to socio-spatial polarization in some regions where the more successful live. There are several other countries with declining populations like Georgia (-1.21%), Latvia (-1.18%), and Romania (-0.79%) among others. Reasons for negative population growth that overlap in these countries are low fertility, family planning, harsh economic status leading to poverty and unemployment, higher emigration to immigration ratio, insecurity such as high crime rate and wars, poor weather conditions, and natural disasters among others.